1. 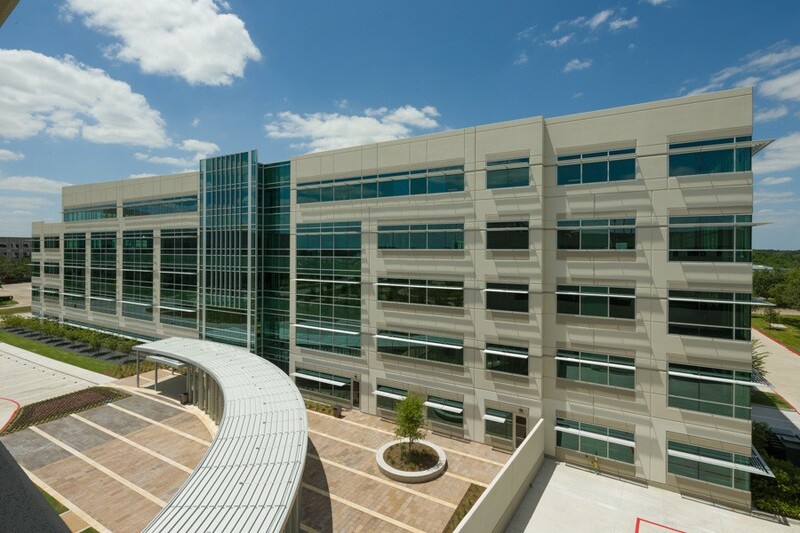 Building 1 is LEED Gold certified at 240,000 sf, 60,000 sf floor plates at four stories height. 2. 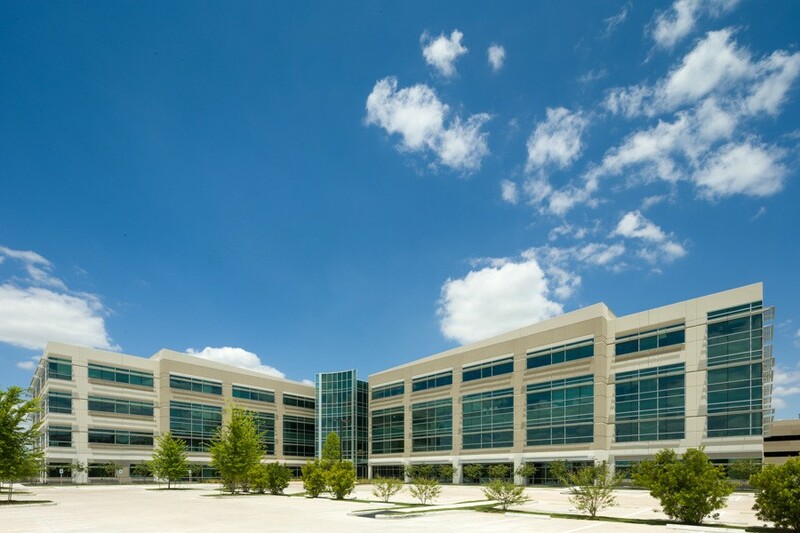 Building 2 is LEED Gold certified at 220,000 sf, 55,000 sf floor plates at four stories height. 3. 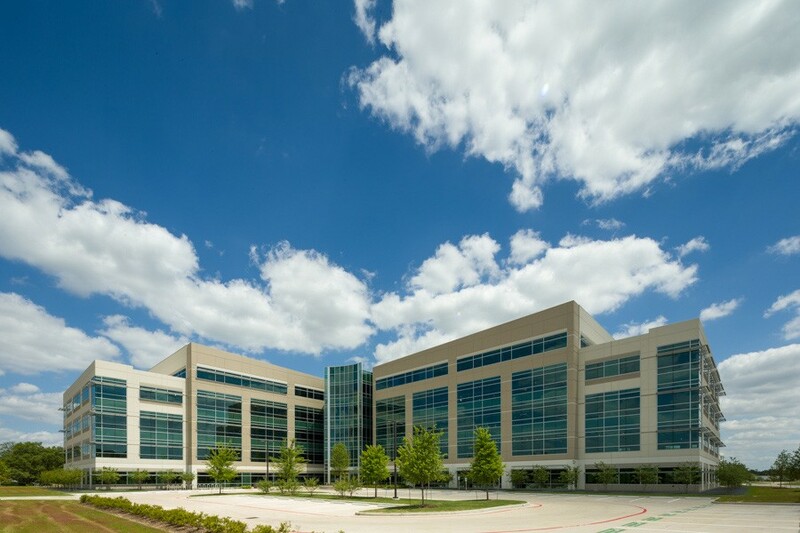 Building 3 is LEED Gold certified at 240,000 sf, 55,000 sf floor plates with a fifth level at 20,000 sf. 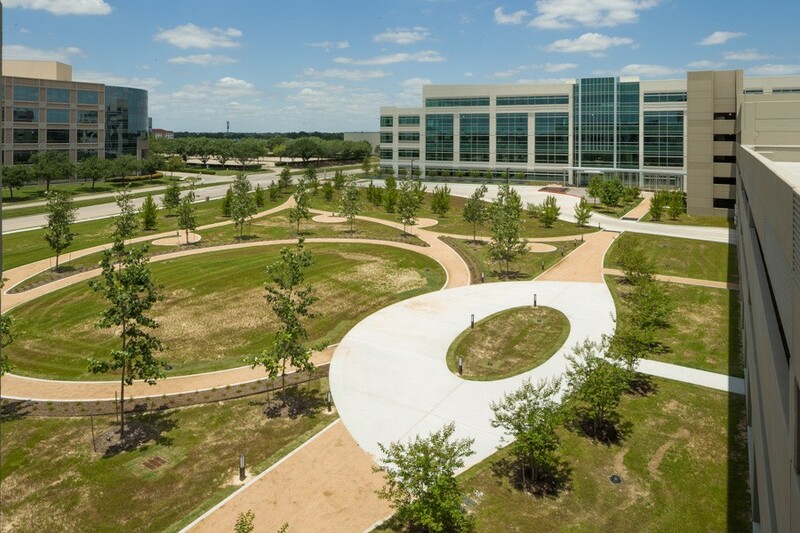 The ensemble of buildings is designed as campus with buildings one and two facing the major thoroughfare with a landscaped motor court formed by the “L” shaped floor plates and presenting as formal front to the property. Building Two also acts a kind of hinge and allows for the southern edge of a 1 acre park formed between it and the five-story Building Three directly north, with the architecturally enhanced structured parking facility forming the third defining edge. 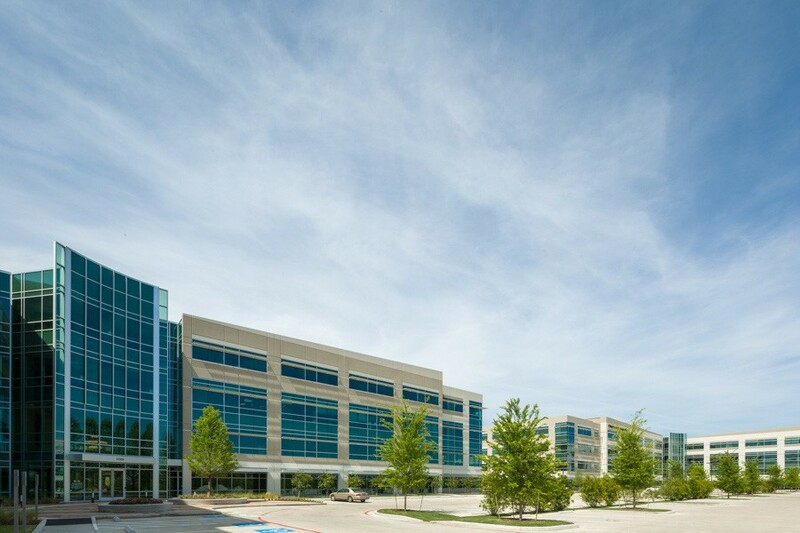 Building One is a multi-tenant building while Buildings Two and Three are leased to a single tenant; that company, a major engineering firm, also owned the buildings directly west of the site and employed the park to become a central focal point for a more unified urban environment. The large floor plates are unique to this submarket and favor the use of tilt wall with no compromise on exterior quality is required. The glass-to-wall ratio exceeds 60%, loggias are designed into the lower levels for in-built connectivity, through lobbies unify pedestrian circulation from both public space and parking and ample curtain wall allows for the buildings to be general but not neutral. The entire compound was completed in only 14 months including detention and 3,000 spaces in the garages due to the reduced time of construction. The five-story building used a unique stacking strategy with a 60’ long top picked panel placed above four-story 30’ wide panels. 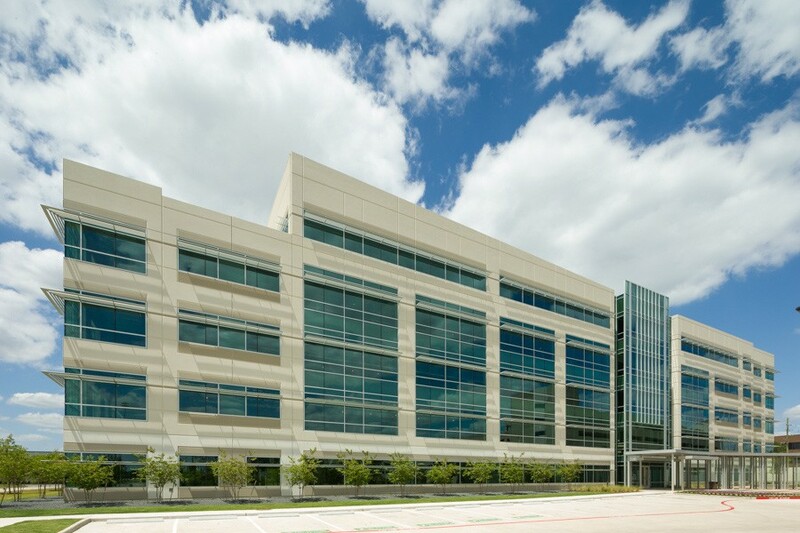 The fifth floor enjoys a 55’ long uninterrupted lease line, first in market for an executive floor and the five-story stack is the first in Texas.